Crane Edge, LLC. - A Little Bit About Us. Charlie Cremeans has the knowledge and experience of more than 40 years. Charlie is the founder of Crane Edge. Upon recognizing a need for private sector companies and operators to get the necessary help, training, and testing; he set out to design a training and testing program that would be more convenient and operator friendly. Charlie believes that if you take training to a personal connection level you can help others obtain their goals of certification. Matthew Cremeans, began training on mobile cranes at age 17. Matthew gained his NCCCO certification at age 19 and has been operating a wide variety of cranes and configurations since. This along with training has allowed Matthew to become a excellent NCCCO certified mobile crane inspector and an excellent hands on instructor as well as an NCCCO mobile crane practical examiner. Also, Dielectric testing technician. Joshua Cremeans, Crane Edge safety director, NCCCO certified crane operator, NCCCO certified crane inspector, OSHA 10 and 30 hour construction authorized trainer. Josh is very good hands on operational instructor and NCCCO practical examiner. Joshua also trains and qualifies candidates for OSHA rigger and signal person. Also, Dielectric testing technician. Grey Nance, Crane Inspector, hoist inspection and repairs and mobile dieletric inspector. Dustin Sexton, Dielectric Testing Supervisor and general maintenance﻿/labor. Winsten Harvey, ﻿Dielectric technician, mobile crane inspections and crane maintenance﻿. Crane Edge, LLc. 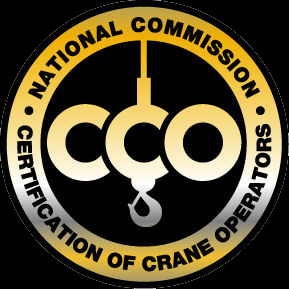 fully endorses the national program offered by the National Commission for the Certification of Crane Operators (NCCCO), and will prepare candidates for the CCO certification examinations.